Coming from someone who has stayed in a lot of AirBnB’s, I’ve seen the great, the bad, and the mediocre. There are a few tips you can follow when searching for your perfect place, that will help ensure you’re happy with your pick! Select “Entire House” when choosing your search filters. Nine times out of ten, you are probably going to want your own place, ie. not shared with the owner of the home, or other travelers. Save sharing spaces for the hostels! I don’t say this to be anti-social, but in every instance where I’ve had a room booked in a shared living space, I have quickly regretted it. I’ve found these places to be messy (for a place you’re paying to stay in) and hosts have not been as friendly. I learned this lesson a few times, so now it is my strict personal preference! I love a good hostel for being a cheap option and getting to meet other people. Air BnB is usually more expensive than the hostel, so you should expect a higher quality place. Read reviews thoroughly! If there are no reviews, just move along to the next listing. It may be tempting to “be the first person” when the place looks nice, but its safer to say that you’re probably not the first person. When reading reviews, keep in mind both perspectives, that of the host and that of the renter. Anyone has the ability to be unreasonable, so use your best judgment when you see a “bad review”. Does this bad review seem justified? Does the reviewer seem to be a little unreasonable? Did the host reply in a respectful way? All good questions to ask. No pictures, BIG problem. If there are very few (not great) or no photos, DUH, don’t book it. Look at location. What would you like to be close to where you’re visiting? If you’re looking for an Airbnb in “London”, zoom in to the exact area you’d like to be in to see the options in that specific area. London is huge, and if you’re not careful, you could end up booking your place on the outskirts, making your commute to Convent Garden longggg. Check the Host’s average response rate. You definitely want someone who is able to get back to you quickly if you need to contact them! 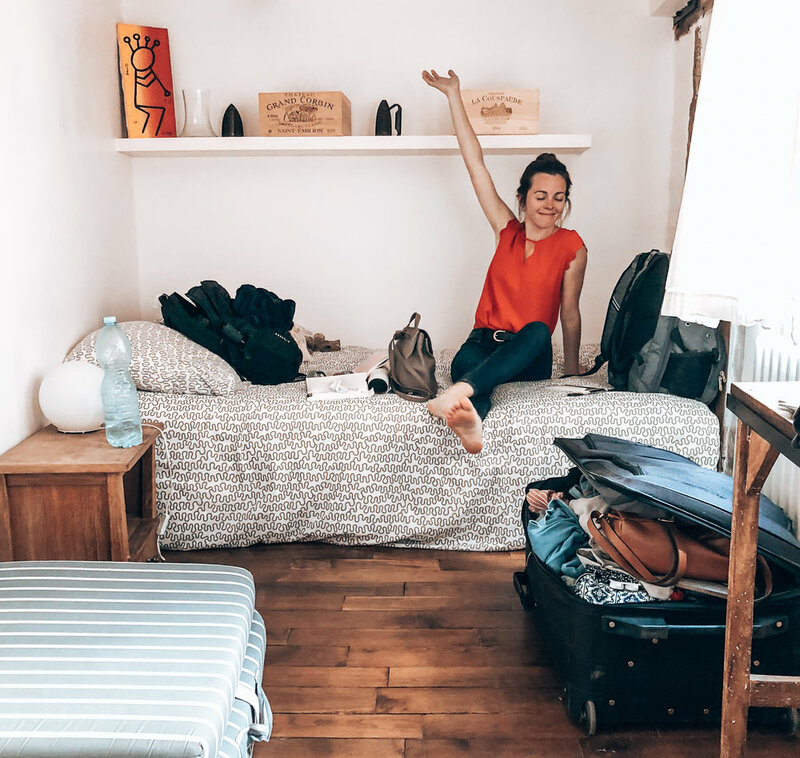 When using these five tips, I’ve managed to book some amazing AirBnB’s. To me, its one of the best ways to immerse yourself in the city you’re visiting, as a step up from a hostel, without breaking the bank at a pricey hotel in the same area. I always look to AirBnB before looking for a hotel! I hope this helps you, if you encounter any questions or would like a trained pair of eyes to help you, shoot me a message!